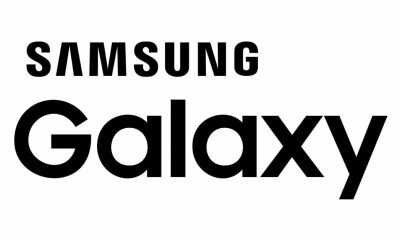 Samsung has officially unveiled the W2019 Android flip phone. 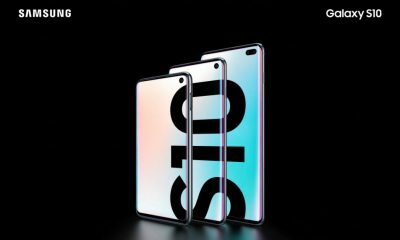 The new Samsung W2019 comes in two different colors – Rose Gold and Platinum. 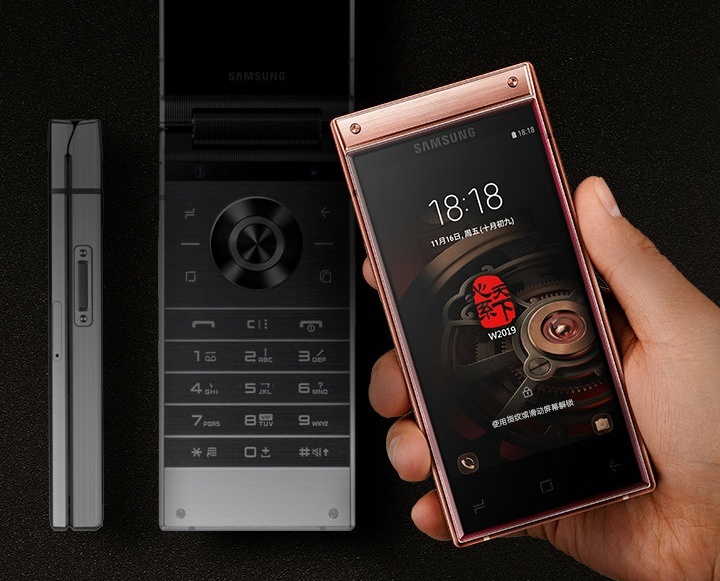 This luxury flip phone also has a side-mounted fingerprint sensor, iris scanner, and Bixby. The phone will be available in China exclusively via China Unicom. 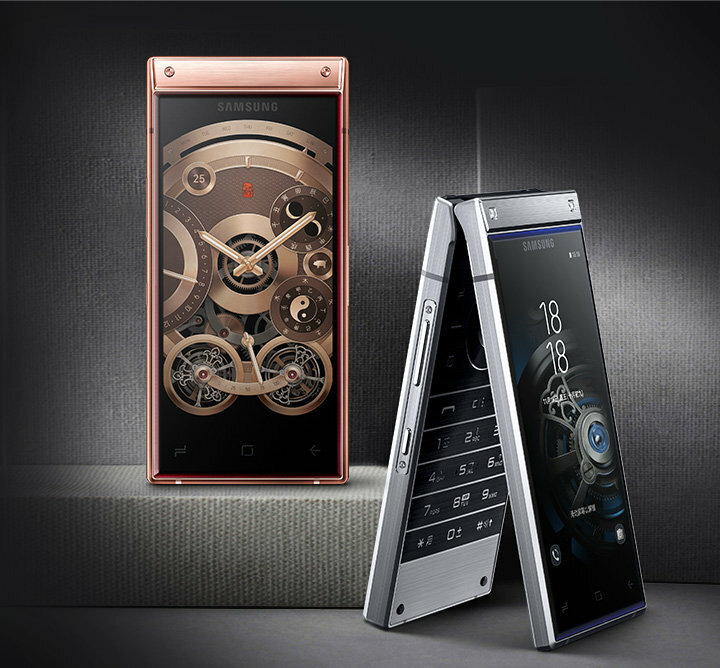 The W2019 is priced at 10,000 Yuan ($1,439). 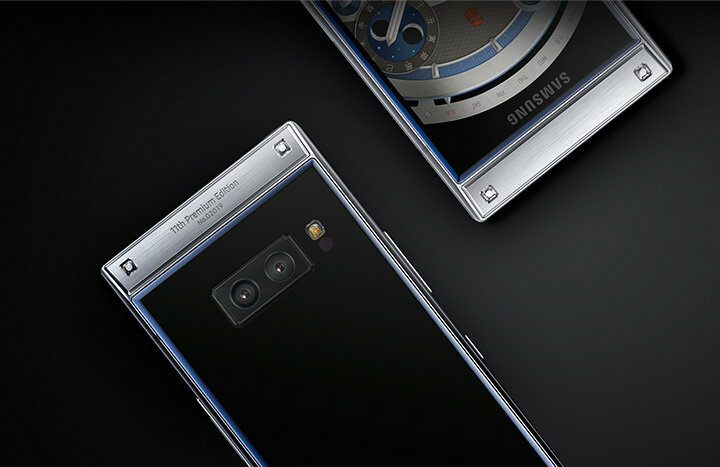 This ultra-premium phone is more expensive than the Apple iPhone XS Max, iPhone XR, Huawei Mate 20 Pro, and Samsung Galaxy Note 9. 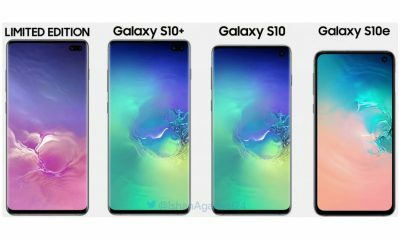 The Samsung W2019 features dual 4.2 inches Super AMOLED (internal/external screen) displays with a resolution of 1920×1080 pixels. 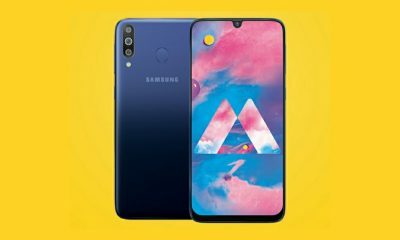 The device is powered by the Qualcomm Snapdragon 845 octa-core processor. It comes with 6GB of RAM and 128GB of inbuilt storage which is expandable up to 512GB via MicroSD card. 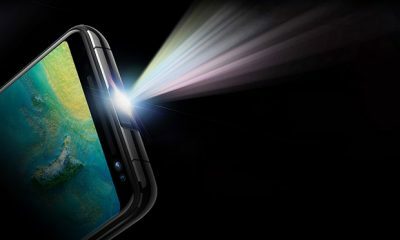 The W2019 has 12MP + 12MP dual rear-facing cameras with OIS (optical image stabilization), 2X optical zoom, digital zoom up to 10 times, and LED flash. On the front, it has an 8MP selfie camera with f/2.0 aperture. The main camera setup can also shoot UHD 4K (3840 x 2160) videos @60fps. The phone runs on the Android 8.1 Oreo. 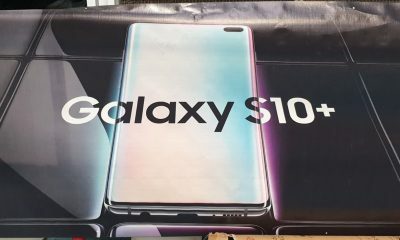 It comes with a 3070mAh battery. The handset has 4G LTE, 802.11 a/b/g/n/ac 2.4+5GHz, Bluetooth v4.2, NFC, GPS, Glonass, Beidou, Galileo, and USB Type-C port. There’s no 3.5mm headphone jack on this phone. The sensors available in the device are Acceleration Sensor, Barometric Pressure Sensor, Fingerprint Reader, Gyro Sensor, Geomagnetic Sensor, Hall Sensor, Iris Sensor, Light Sensor, and Proximity Sensor.